A precursor to Meer & Hasan, was established in 1984 to provide legal services on both civil and criminal side. Later, responding to the growing needs of businesses/corporations due to an influx of foreign investment, the firm was repositioned to focus mainly on business laws. Diversity and keen understanding of legal concepts have been the hallmarks of the firm and are characteristics of its partners and associates.Be it fundamental civil or criminal law or evolving corporate or IP law, people, at Meer & Hasan (M&H), have toiled day and night to provide quality legal services to its esteemed clients.Owing to strong grip on basics, a vivid vision of evolving legal concepts and concerted efforts of its associates in providing personalized service, M&H is one of the most reputed law firms in the country. In present times not only the consumers themselves have become savvier but the laws have also been promulgated for their protection. This awareness and regulation requires a manufacturer or service provider to be mindful of its duties under the law to avoid exposure from actions by its consumers. Dr. Wilson, on his return to Pakistan after completion of his Doctorate with distinction (Dean's Honour List), joined a prestigious law institute of Pakistan where he worked as Assistant and then Associate Professor. In 2007, owing to his expertise in Competition/Anti Trust Laws, he was appointed as Commissioner of Competition Commission of Pakistan. After three consecutive terms of three years each as a Commissioner, Dr. Wilson was appointed Chairman of the Competition Commission of Pakistan. Dr. Wilson has recently joined M&H as head of its Mergers & Acquisitions and Telecom Department. In addition to being a distinguished expert of Competition/Anti Trust laws, is also a renowned international expert of telecommunication laws and has provided consultancy services in attendant with telecommunications industry to a prestigious Canadian telecom company. His induction in M&H has opened the doors of new venues for M&H. Mr. Shah is head of taxation department of M&H. 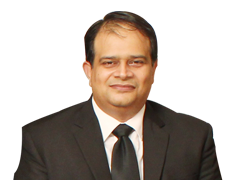 Mr.Shah has more than 30 years experience in the field of taxation and is highly respected in tax circles. Mr.Shah has enjoyed top positions in recognized tax associations and has, inter alia, served as President of Pakistan Tax Bar Association and Lahore Tax Bar Association,two of the most effective tax bars in Pakistan. Mr. Shah also has various publications to his credit including a book on taxation titled “Tax Guide” and also has written commentaries on various tax related statutes. Ch. 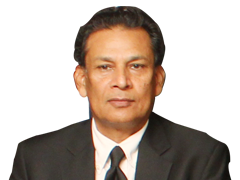 Muhammad Kamran is a solicitor in Hong Kong SAR and an advocate High Court in Pakistan. He is qualified to practice law in Hong Kong SAR, China and Pakistan. Mr. Kamran has a Post Graduate degree in law from University of Hong Kong specializing in Corporate and Financial Law. He has represented Law Society of Hong Kong in Vienna and Washington. He is an honorary legal advisor to the Pakistan Chamber of Commerce in Hong Kong as well as Pakistan-Hong Kong Trade & Investment Forum. Barrister Ahmad Farooq has joined the firm after doing his Bar at Law from Inner Temple and is extensively involved in litigation. Due to his outstanding abilities, sharp legal acumen and persistent hard work, he has made a name for himself in legal circles. Haseeb Ahmad has joined the firm after doing his LL.M. from University of Hull U.K and gaining experience of banking and corporate sector from reputable firm and is now extensively involved in corporate, banking and M&A. Mr. Waseem-ud-Din heads our Islamabad Office. He has vast experience in the legal matters of Pakistan Naval Forces as he has recently retired as Deputy Judge Advocate General from JAG branch of Pakistan Navy after more than 27 years of service. His experience in defence matters is enviable. He is also an expert on admiralty laws. Mr. Kamal is head of our Karachi office. 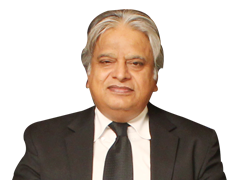 He is a renowned expert of marine laws and heads the marine division at Meer & Hasan's Karachi office. M&H wins arbitration proceedings involving claims around Rupees six billion on behalf of Pakistan's largest telecom company. M&H’s practical feedback on seizure of infringing goods is appreciated by PIPRA. M&H becomes member of Employment Law Alliance. M&H wins a landmark case against firing of hundreds of Public Prosecutors by Government of Punjab.